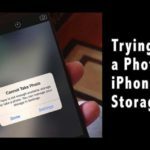 Apple made some major changes to the Photos App starting with iOS 10. One of these features that we particularly liked was the NearBy feature in the Photos in iOS 11. 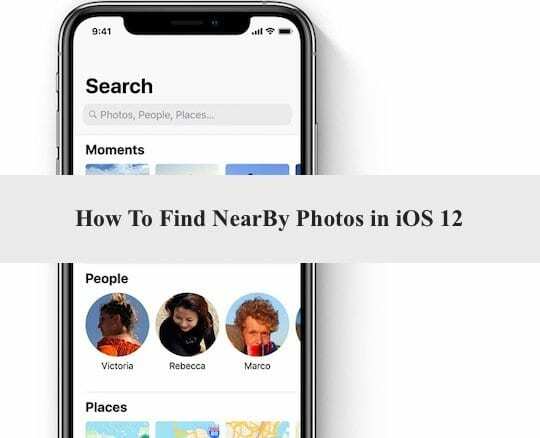 In this short article, we will show you how you can find Nearby photos in iOS 12. The feature is somewhat hidden but here are a few ways of working with Photos and location. 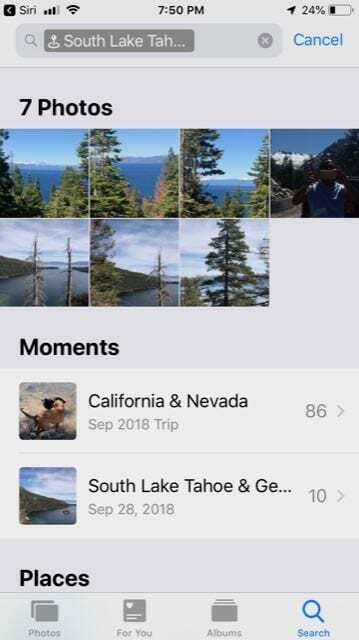 The first of these options uses the straightforward way of navigating through the Albums to locate all the photos taken at a particular location. Here you have two choices for view. You can use the Map view or the Grid view to find all the photos that you have taken with a location reference. 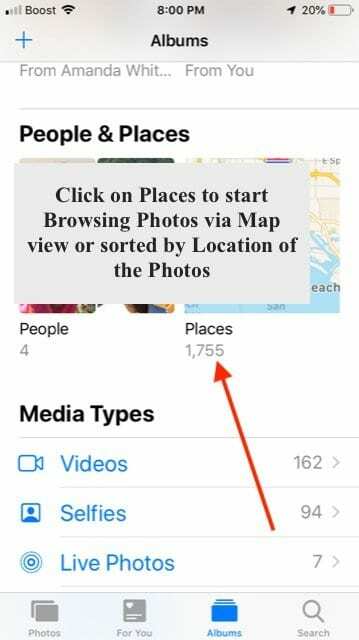 The second way or a more hidden way to access your Near By photos in iOS 12 is find the related places of a particular photograph. Swipe up Gently from the Bottom of the screen. Make sure to not swipe from all the way in the bottom since that will bring up the control center. The trick is to position it at the center of the photo and then swipe up. This reveals ‘Places’ on a map view. 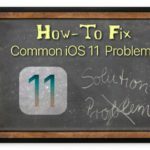 This will bring up the Map and Grid View and show all the Photos related to the location of the photo that you selected in step 1. 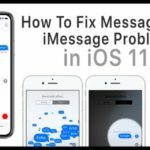 Siri is also useful in situations when you are trying to filter all the photos that you have taken for a particular location. 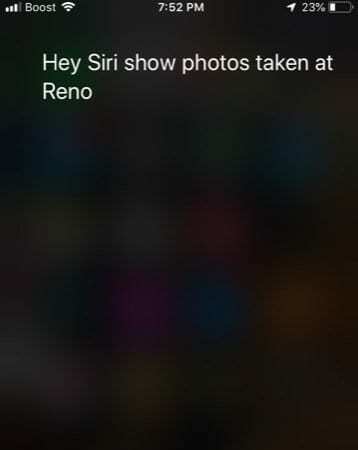 Simply say “Hey Siri Show Photos taken at Reno” and voila it will automatically open up the Photos App and show you all the photos and moments that were shot in that location. 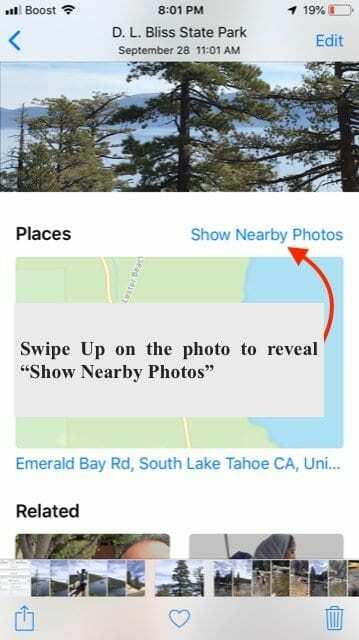 Tip: These features work only when you have location services enabled for the camera app. 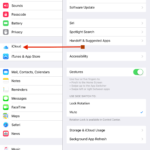 Head on to Settings > Privacy >Location Services and make sure that for the Camera app, it is set to ‘While Using the App’. 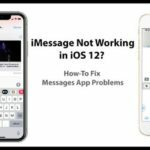 You can also take advantage of the new iOS 12 smart suggestions feature for your shareable photos for an event. 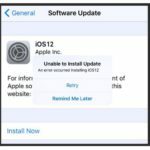 This works if the receipts are using iOS 12 on their device. This feature really shows off the facial recognition chops of the iOS software. 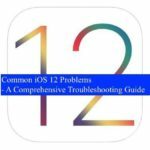 We hope that you found these tips helpful! Please let us know if you have any comments or if you would like to share your favorite tip with our readers.